Classify, Protect, and Track in One-Click! Seclore Data Classification empowers the organization’s users to apply relevant visual and metadata labels to documents, emails, and attachments, to better identify what information is sensitive and requires protection. As your users create, modify or email documents, they can select a classification label from a user-friendly menu that will automatically apply the appropriate usage controls based on the classification. Through seamless integration of Seclore Data Classification with Seclore Rights Management, we are making it easy for organizations who require greater document security and tracking to add persistent usage control policies to documents and emails based on classification labels. See how you can make your CISO, IT team and end-users all happy with one-click classification, protection, and tracking. Once your user clicks on the classification label, Seclore Data Classification will do the rest. 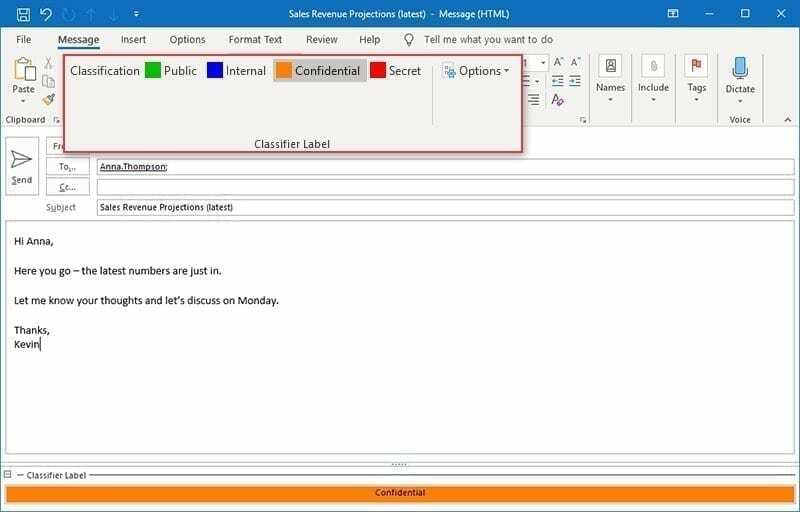 New release enables employees to classify, protect and track sensitive emails and attachments in one click to ensure secure external collaboration and simplify compliance. See how easy it is for your users to classify, protect, and track sensitive documents. Learn what they are and how you can fix your data-centric security challenges.